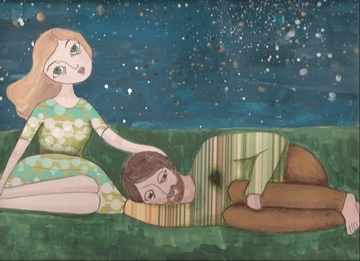 Elysabeth Nikolic Bell (my talented wife) has started a new blog where she is posting her recent paintings and illustrations. I’ve known Elysabeth for 15 years to be an outstanding artist. These collections are a new turn for her and I’m really excited to tell you about them. Very soon you’ll be able to purchase these paintings in various forms, so stay tuned, visit her blog often, and give her some love in the comments. You can also follower her on Twitter (@babettebell) and find her on Facebook.